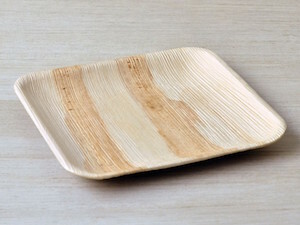 These eco-friendly and durable utensils are made from cornstarch in the form of CPLA. 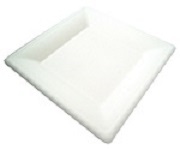 This form can withstand heat up to 185 F making them suitable for consumption of hot foods. 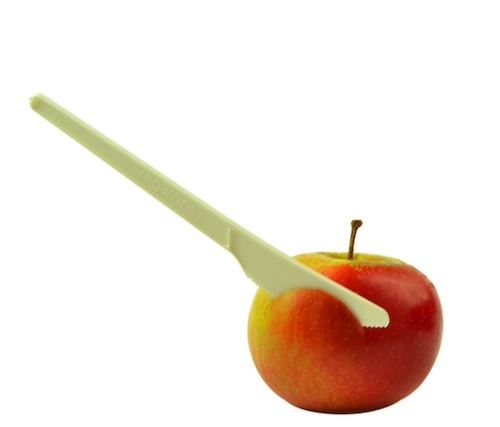 These utensils are certified compostable and are completely GMO free. 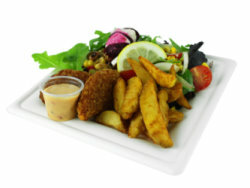 Perfect for your next family dinner party, picnic, reception, or every day use in your lunchbox. CPLA is made from starch rich plants such as corn, wheat, and sugar beets, plus compounds created through the fermentation of glycerol. All are renewable resources. CPLA is similar to PLA but differs in that a crystallization process in its formation permits the CPLA resin to stand up to higher temperatures. These utensils are made only from renewable resources, that have a measured reduction in carbon emissions and a low waste production process. 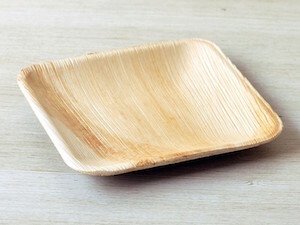 These utensils are also fully compostable. 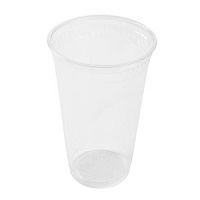 For these reasons, they are a better choice then traditional plastic utensils. 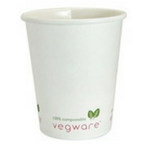 For products to be named with the "compostable" designation, they must be able to break down into carbon dioxide, water and biomass at the same rate as paper. Also, the broken down materials should not contain any toxins and should be able to support plant life. Thanksgiving is almost here and we've got some beautiful, eco-friendly inspiration to take your holiday decor to the next level. 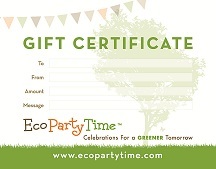 Ecopartytime has really great products for Thanksgiving and we'll show you exactly what to use. Whether you use this inspiration next year or integrate it into this year's set up - you'll love these ideas!